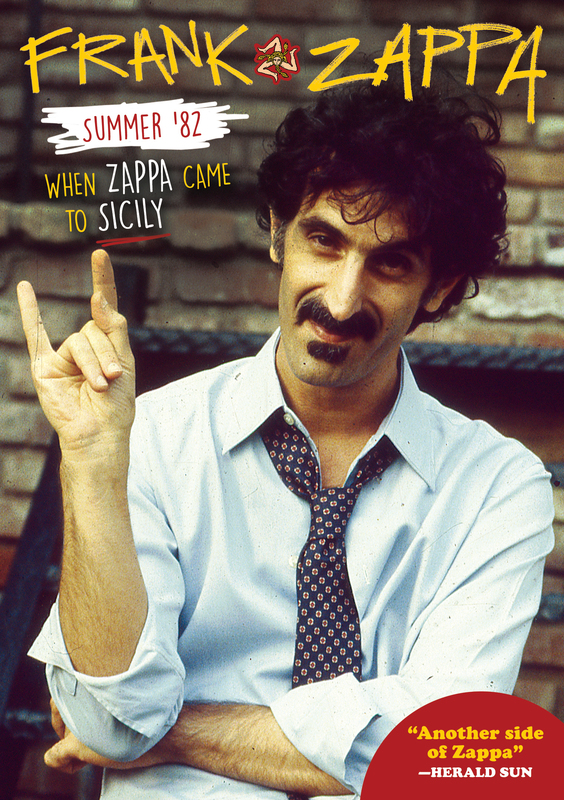 In an unexpected convergence of art and life, Summer '82 - When Zappa Came to Sicily is a story of two families--Sicilian filmmaker Salvo Cuccia and the children of Sicilian American rock icon Frank Zappa--as they try to reconnect with fathers who died young. The tumultuous summer of 1982 is the playing field on which these parallel stories unfold and ultimately merge. The backdrop is the bloody mafia war that is raging in Sicily, Italy's triumphant win of the World Cup, and Zappa's World Tour, which climaxes with the first ever rock concert in Palermo. Told through the lens of the Italian portion of the tour in a style as eclectic as Zappa's music, the film features rare performance footage and interviews with Dweezil, Moon, Diva and Gail Zappa and Massimo Bassoli, Frank's friend and biographer, who was eyewitness to the events of that summer. The film crescendos in Palermo in an unexpected and emotional homecoming in which all of the seekers reach back though time to connect to something lost: parents, ancestry, homeland, and ultimately a more complete sense of identity. Hoping for more Thomas Nordegg footage, less Massimo Bassoli but I'll take what I can get. '82 band is one of my favorite configurations. Looks pretty cool. I wonder if a ZFT release? Good stuff a must see! SWEET!!!! Great to see. I just got Zappa in Barcelona 17th of May 1988. That was a treat. Here's to a nice Hi-Def Bluray release to match Roxy the Movie. Can the ZFT shed some light on the Region coding for this Bluray release? Will it be region code free like the Roxy Bluray? Fingers crossed then I can obtain it and view it sooner. I was told by MVD that it is Region free. Now to find a site that hasn't already sold out of the initial order. Rockin!!!! This is kind of a nice dvd/Blu-ray/whatever. It answers some questions about the concert and the Zappa family connections is cool. It’s curious that the immediate family is apparently still on good terms in this film. It only took Gail’s death and the Family Trust control being awarded to Diva and Ahmet to change things drastically. Arrived today.....I'm being branded a movie queue jumper for suggesting an immediate viewing! Thanks Andrew. I'm looking forward to the arrival of this film even more now. Finally got to watch this today and oh Mamynuns it's great. Minor Spoilers contained within this overview/review for your informative interests and curiosity machine. The footage is NTSC sampled for 1080p definition of course. However a warning for those thinking it will mean a pristine transfer of precious Zappa footage like the amazing work done for the 'Roxy The Movie' Bluray. Alas you will be disappointed here as it's sadly a 16mm video tape transfer of quick and direct to digital quality with not much in the touch up department. This is both good and bad. It's good in that it preserves what is left of this rare footage exactly as it would be if you plugged in a VHS or BETA tape player and played it back. It's bad in that it stands in sharp contrast to the high quality present day style footage. The sound is not mentioned on the back, however the fact that standards like 'DOLBY' or 'DTS' are not mentioned and going by what my ears heard, I'm inclined to hazard a guess that we get 2 Channel PCM stereo audio here. The sound quality is good and given that this is primarily a documentary most satisfactory. The final concert in Sicily was rather scary and I couldn't believe that an Italian Riot Police squad could even consider firing tear gas into a fan crowd. The worst part was that Frank and the Band were unaware of what was going on due to poor lighting and were affected by it. Steve Vai gives an account of what that was like but needless to say it wasn't pleasant. Frank even ended up ending the concert after just 1hour and 6mins as things started getting scary with the crowd throwing things and of course not being very accurate with tear gas in there eyes. A strange occurrence indeed. The interviews with the whole Zappa family and meeting up with there relatives in Sicily were very touching and I found myself shedding a tear when I noticed how moved they were to hear Frank's music played by town band members. They comment on how it's the only way they can feel that connection to Frank and miss him dearly. Wonderful to see how much they and the people in Sicily all shared there love of his music and the memories he left behind. Very touching. My only gripe with this Bluray(well there's 2 actually the minor one being it only runs for just over 82mins, I was hoping for at least 3 hours worth) was that I felt the entire recorded content of the Sicily footage should have been put on the Bluray in the bonus features as you could have easily fitted footage of that quality on there and it would have been nice to watch what there was of the concert without any commentary in it's entirety. Adding all the sound checks footage would have been a terrific bonus as well, not to mention anything that wasn't too private of Frank's tour moments back stage. The photo gallery was much appreciated although somewhat random and not all related to the actual documentary that was the focus of this release. That said I was excited to see photo's I'd never seen before of Frank working with the LSO and Kent Nagano as I'd always hoped to see some of these and wished they had been bundled with the LSO re-release(however I understand the intent was to have the original published work back in print in original high quality as opposed to the downgraded versions caused by the RYKO releases.) Also for the guitar fans, there's some nice Frank and band guitar shots. Best of all this tour featured a very young Steve Vai and Chad Wackerman so it's always great to see them at work. Overall this is THE BEST Frank Zappa documentary to date and it's a shame that it may never be repeated with the entire remaining family again due to the unfortunate legal mumbo jumbo going on, which is extremely sad as this documentary proves that Frank meant so much to all of his family and it goes without saying us fans of course. One can only hope that the family can patch up it's differences and just start working together again and perhaps we can see more of these great documentaries in the future. Highly recommended for Zappa fans and perhaps those new to Zappa as well with a lot of new nuggets and joy to be discovered on the great composer. Now streaming for free if you have Amazon Prime. NOTE: You will not get the groovy menu, bonus features or the cool picture of Frank holding an impressive music score sheet printed on the actual disc with this method. PS: It could, however, have been a comic relief if Gail had presented all the local Zappas with cease and desist letters!